This has been a very busy year and summer for JCAHPO. The excitement of seeing EyeCareCE go live (formerly ACTIONED®) as the largest, most comprehensive, online CE source for the entire eye care team, has been exhilarating. Many updated or new features and new courses will ensure you have an easier time navigating the site and earning CE Credits. In conjunction with EyeCareCE, came our first online store, EyeCareMarketplace. 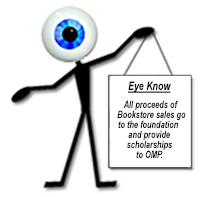 I hope you have found the store to be user-friendly and helpful in suggesting similar products as you select products or books for your studying, training, references, or just increasing your general ophthalmic knowledge. It’s hard to believe that the 42nd Annual Meeting is just around the corner. If you’ve not yet registered and selected your courses, I encourage you to do so by August 24, as registration fees increase after this date. Continuing past the Annual Meeting, we have many more new projects that will be launched this year, including new certificates of completion, the job task analysis survey, a new JCAHPO website, and more. 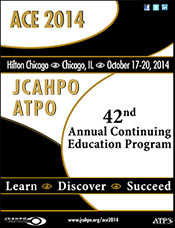 We all look forward to seeing you in Chicago, October 17-20!